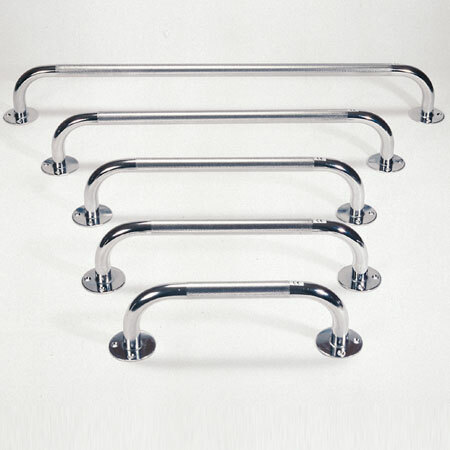 These rounded chrome grab rails can be used to help with rising and provide extra security and support when moving around. 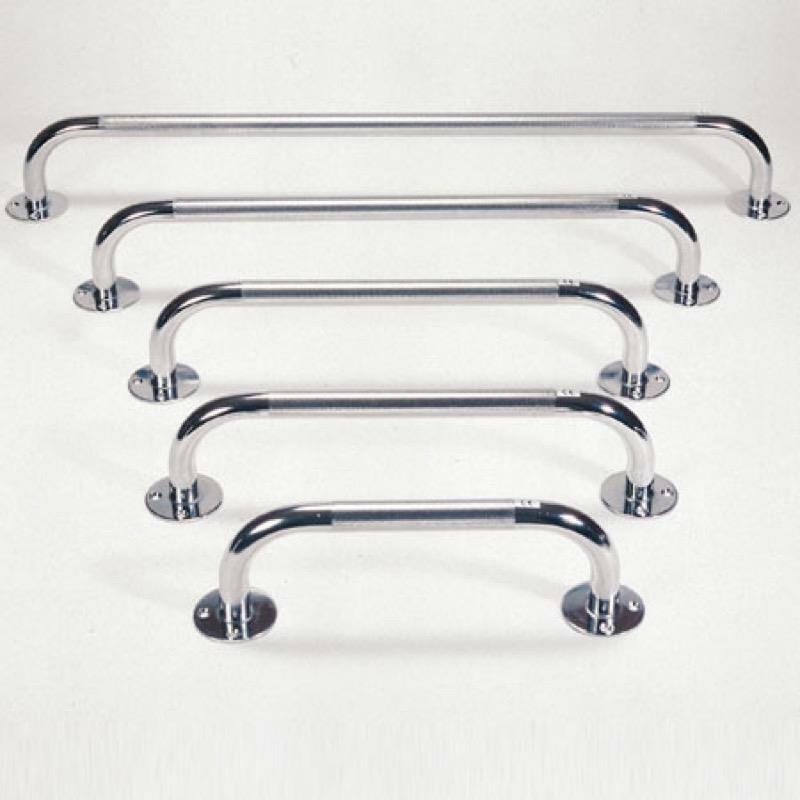 These rounded chrome grab rails can be used to help with rising and provide extra security and support when moving around. The grab bars can be used inside or outside the home. They are manufactured from steel, chrome plated with and etched handle section and have rounded bases. They are available in 5 lengths.